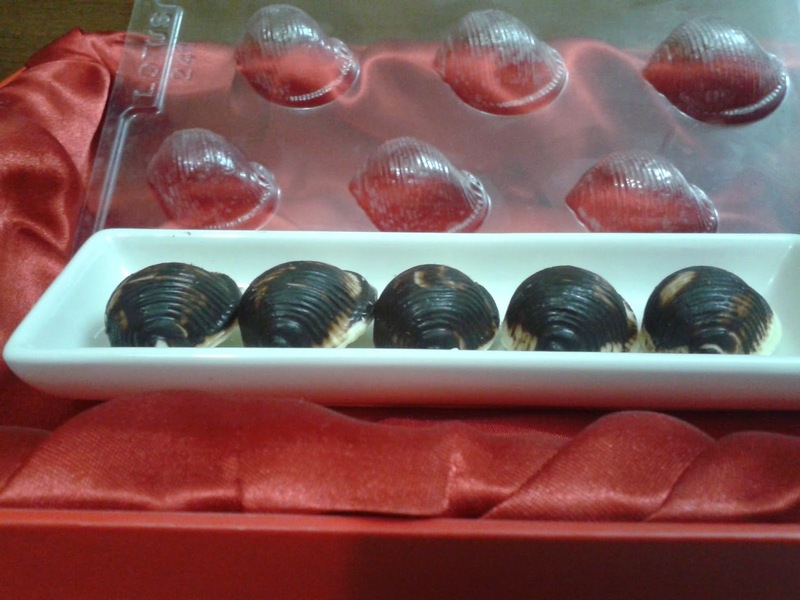 Melt both the chocolates separately. Pour the dark chocolate in such a mold so that you get a cavity in the centre. In the white chocolate mix some butter and pink edible color till you get the desired color. 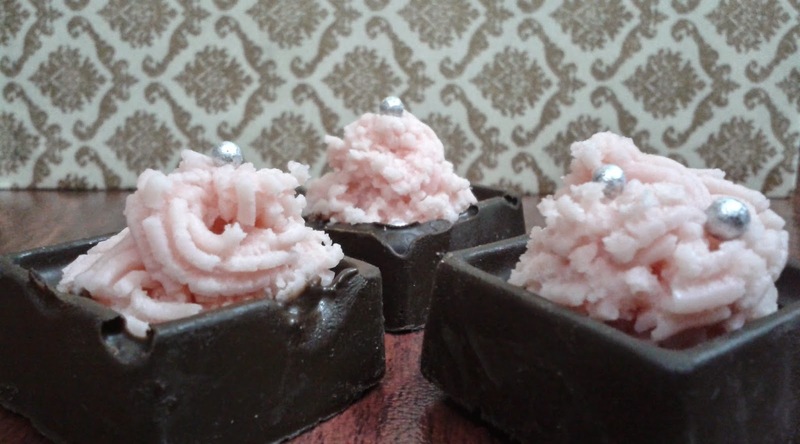 Now quickly pour out the pink chocolate in a piping bag or piping gun and fill the cavity with pink chocolate and decorate it with silver balls. It is a bit difficult to fill the cavity with piping bag as the chocolate gets hard very quickly (and when you pour in very hot pink chocolate on dark chocolate then the dark chocolate starts to melt).so you need to be extra careful and you can fill it with spoon and make a design with any thing like a fork,tooth pick.knife,spoon or any thing else available with you. 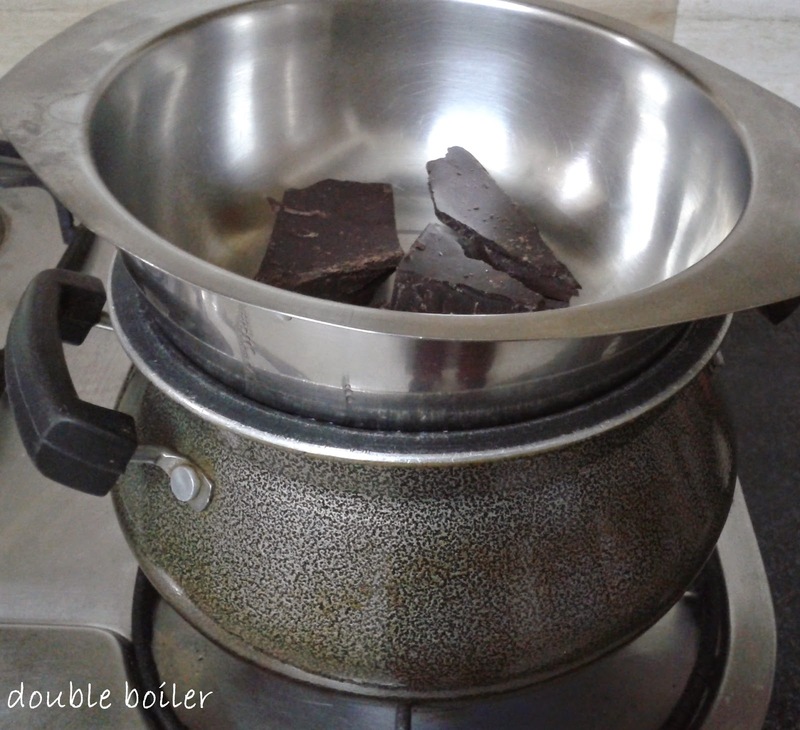 To make double boiler place a bowl on top of a pan of simmering water. The bowl should not touch the water, but it should create a seal with the bottom pan to trap the steam produced by the simmering water. The trapped steam keeps the top bowl going at just about 212F (100C), a far lower temperature than could be achieved by putting the bowl directly on that burner. Inside the top bowl, you can melt chocolate without worrying that it will stick and burn. Melt dark and white chocolates in different bowls in a double boiler or in a micro wave for that you keep the chocolate in a glass bowl and first set the temperature at high and microwave the chocolate for 1 minute then check and then again for 1/2 to 1 minute and check,and repeat the procedure till you get the rigth consistency, the time taken will depend on the quantity,brand and the temperature of the chocolate. Now spread a thin layer of dark chocolate in the shell shaped mold and then pour in white chocolate and fill the mold to top. Now keep the mold in the refrigerater and de-mold the chocolate when it becomes hard. Boil soup as per instructions and after 5 minutes or till the soup is half cooked add cottage cheese to it and cook further for 5 minutes. 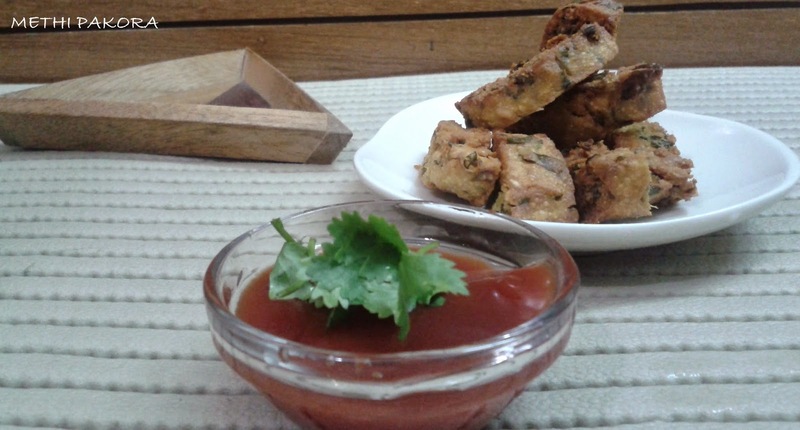 Enjoy this with freshly cooked plain rice or jeera rice or any left over rice. Sieve all purpose flour and add ghee or oil for moyan to it. Mix properly with fingers. Now add water make a very tight dough just like you make for mathris. Let the dough rest for some time under damp cloth. Make small balls out of it. Press between both palms. Heat ghee or oil in a wok and fry them on medium flame till golden brown in color. Drain them out and let them cool for 5 to 10 minutes. Break them into small pieces. Grind them in a mixer to make a powder out of these broken pieces. Sieve this powder through a sieve. Mix 1 cup of boora or icing sugar whichever is available, in two cups of powder. Mix thoroughly icing sugar or boora with the prepared powder using your hands. Make round balls out of it just like we make ladoos by using both hands. Prepare all the ladoos. Generally it is made in big size. 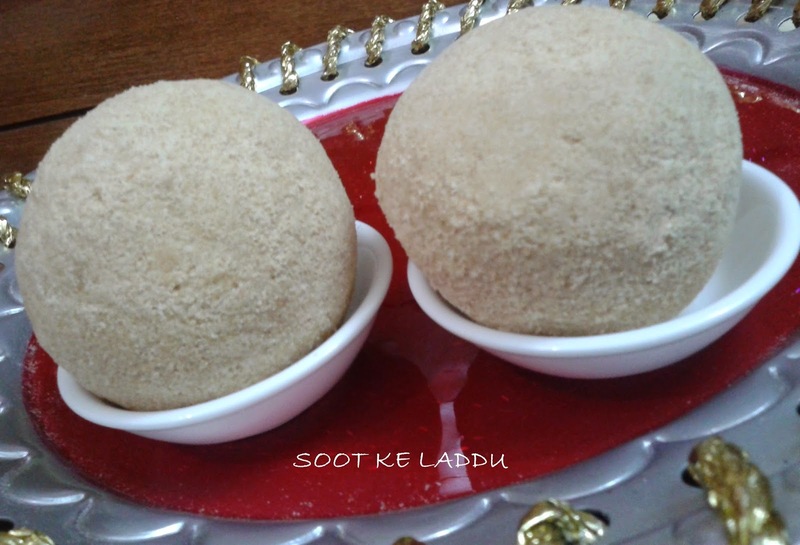 Soot ke ladoos are ready to serve. Hit the shell of the coconut with a hammer till it breaks and pour out the water in a bowl. Now you have two halves of coconut, keep them directly on gas and heat the shells for 4-5 minutes while rotating it after short intervals. Now remove them from fire and wait till you can handle it with your hand. Now hit then on a solid surface or hit the shell with a hammer till you get the whole shell removed from the coconut. Wash the mushrooms and cut them in to pieces. 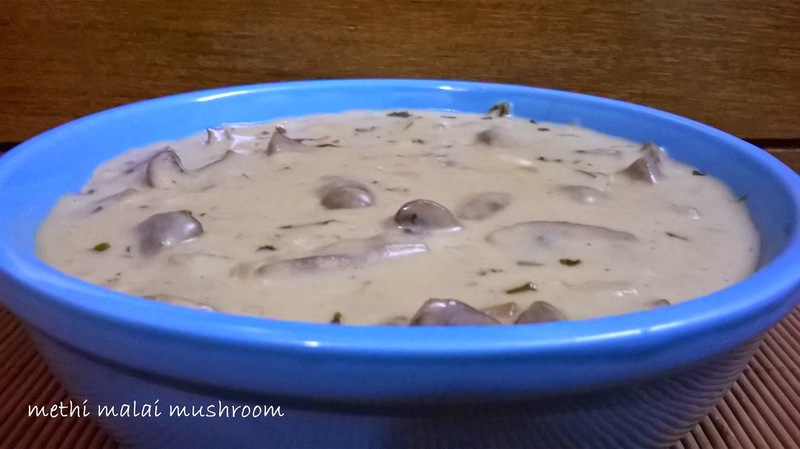 Boil the mushrooms in hot water for 2-3 minutes and drain out the water.Keep aside. Heat butter in a pan and add the chopped onions and garlic,cook till the onions become pink in color. Add maida and stir for a while, now add milk stirring continuously. Add dry fenugreek leaves and fresh cream. Add salt and pepper and cook further for around 2-4 minutes. 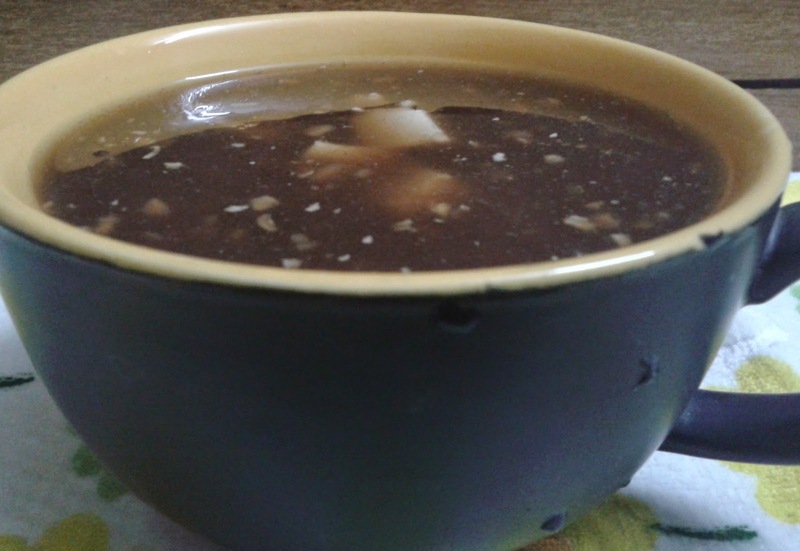 Serve hot with chapati or prantha. Cut the bread slices in circular shape with the help of a round cutter or a katori (round bowl) or in any other shape as desired. Deep fry the bread slices in hot oil and keep aside. Mix condensed milk and milk and bring the mixture to a boil. Add the kesar strands and cardamom powder and mix well. Switch off the gas and keep this rabri aside. Make a one string sugar syrup by boiling 1/2 cup sugar in 1/4 cup water. Now dip the fried bread slices one by one in the sugar syrup and then take them out of syrup and arrange them in a plate. Pour the prepared rabri on the bread slices and garnish as desired. Break the biscuits and dry grind them to make a coarse powder, add butter and powdered sugar and blend them once more to mix the butter and sugar with biscuits. Grease a detachable pie mold bottom with butter or oil. Spread the powdered biscuits mixture on the pie mold and press them to make an even layer. 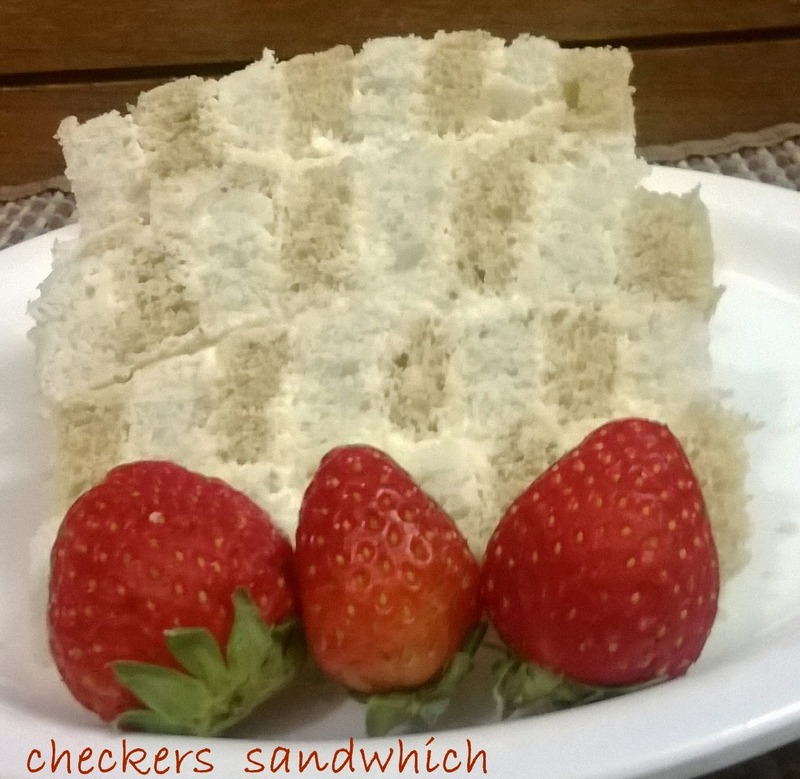 keep in the fridge for about 15 to 20 mins till the bottom crumb layer is set. Cut the agar agar sticks and soak them in 1/2 cup of warm water for 20 to 25 mins. Peel and chop the mangoes and prepare a smooth puree of the chopped mangoes in a blender. Divide the mango puree into two equal portions in separate bowls and keep aside. Take the cream cheese, cream, vanilla extract and sugar and mix them well in a mixer till it becomes smooth. Now add half of the mango puree and gently mix it with the cream cheese mixture. Now in a pan heat the agar agar and water on a sim or low flame. When the agar agar solution gets cools, take equal portions of it and add one portion of the warm agar agar solution to the mango cream cheese mixture and stir quickly and vigorously. Pour the mango cream cheese mixture on to the biscuit crumb layer. remove and then layer the mango puree and agar agar mixture gently on the middle cream cheese layer with a flat spatula. 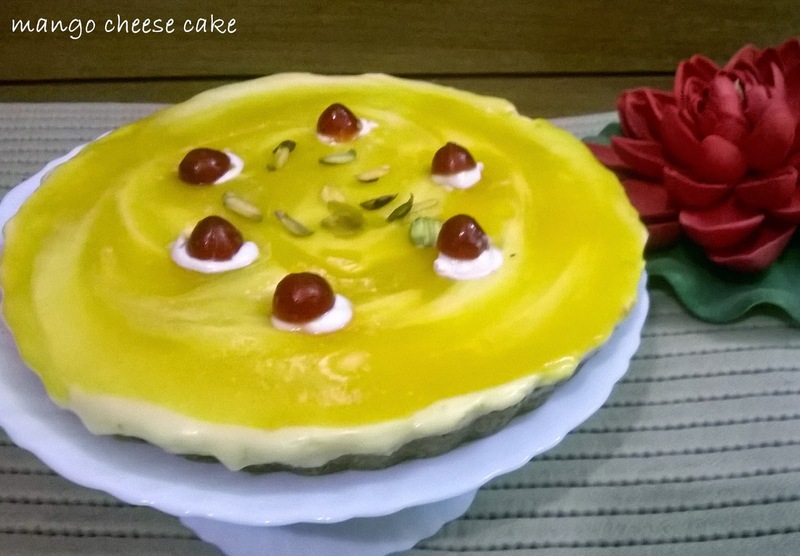 Keep it in the refrigerator for the mango cheese cake to set for 3 to 4 hours. Decorate with whipped cream, chopped cherries,chopped pistachios or as per your creativity. 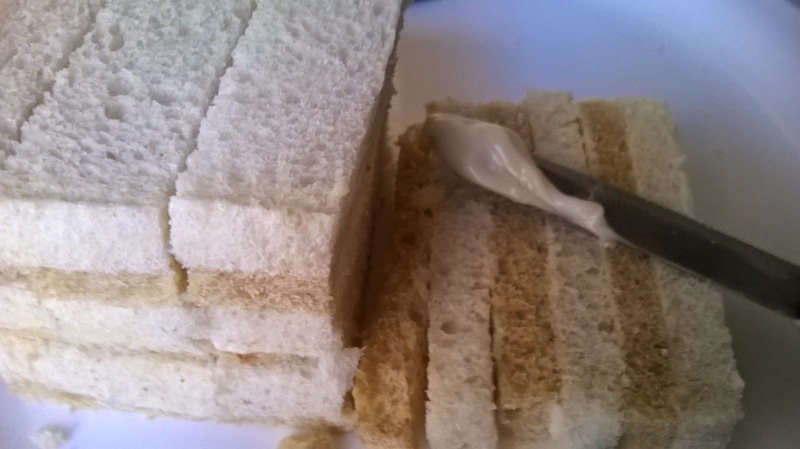 Trim the edges of 3 brown bread slices and 3 white bread slices. Take one brown bread slice and spread some mayonnaise (or cream cheese or any other spread so that bread slices stick to each other) on it. Then a white bread slice and spread some mayonnaise over it, repeat the process with rest of the slices. 4. 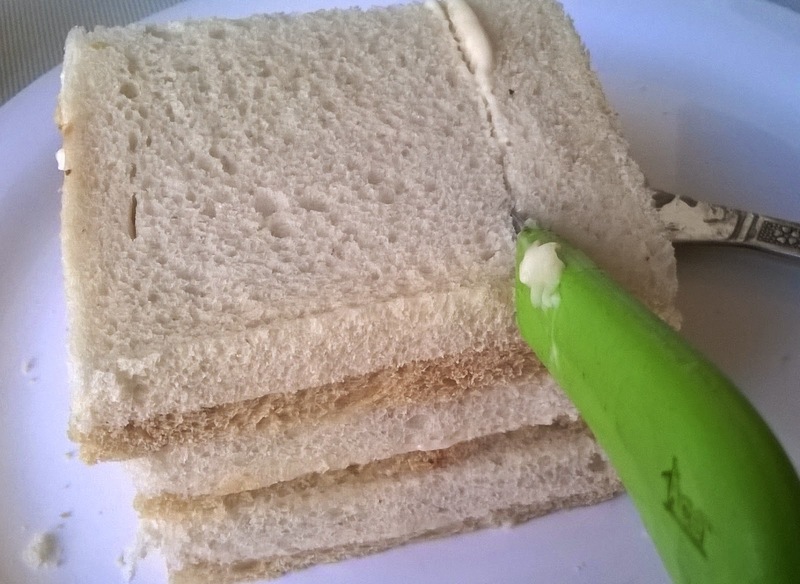 Now cut this sandwich into four equal slices and again spread mayonnaise over each slice. 5. Now place the slices over each other in such a way that one brown strip is placed over one white and then a layer in which one white strip is placed over one brown strip. 6. 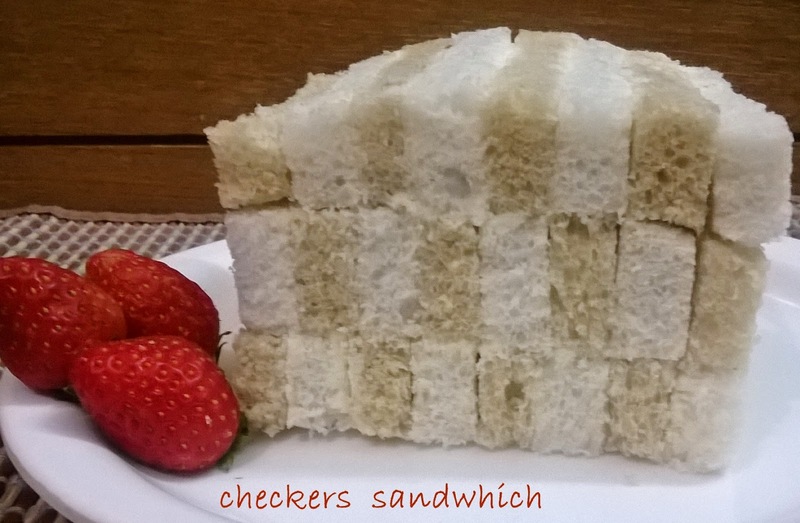 Now again cut the bread into four slices and your checkers sandwich is ready. Mix flour, salt, vegetable oil, and knead a dough using as much warm water as required. Keep the dough on rest under damp cloth for 10 to 15 minutes. Make small balls and roll them with a rolling pin (dust the balls with dry flour if required). Roll them into thin 7-8" circular disks . 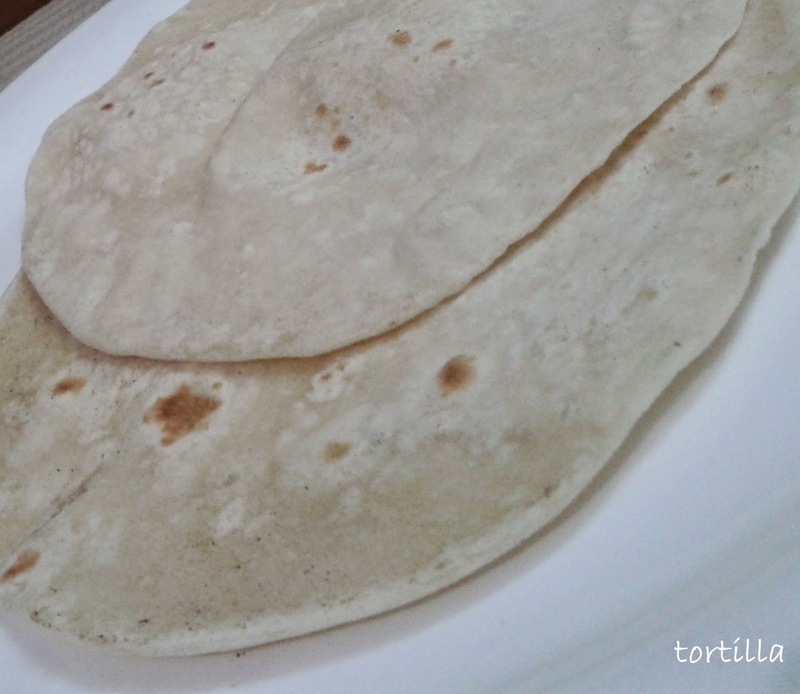 Heat a flat pan or tava and let the chapatis cook flipping side until there are little brown specks on both sides.